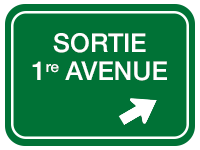 TRACTION INTÉGRALE, NAVIGATION, TOIT OUVRANT, CAMÉRA DE RECUL AVEC SONAR AVANT / ARRIÈRE ET ALERTE DE CIRCULATION TRANSVERSALE ARRIÈRE, SYSTÈME PRÉ-COLLISION, SYSTÈME DE SURVEILLANCE DES ANGLES MORTS, AVERTISSEMENT DE SORTIE DE VOIE AVEC ASSISTANCE À LA DIRECTION, INTÉRIEUR CUIR, SIÈGES AVANT F SPORT / ÉLECTRIQUES / CHAUFFANTS ET VENTILÉS, SIÈGE CONDUCTEUR À MÉMOIRE, AUDIO PREMIUM LEXUS À ÉCRAN DE 10.3 / AM / FM / CD / USB / MP3 / WMA / BLUETOOTH / SIRI EYES FREE / RADIO XM SATELLITE INTÉGRÉ À 10 HAUT-PARLEURS, VOLANT EN CUIR / CHAUFFANT / F SPORT À 3 BRANCHES AVEC COMMANDE DE CHANGEMENT DE VITESSES / CONTRÔLE AUDIO / BLUETOOTH ET RÉGULATEUR DE VITESSE, GROUPE D'INSTRUMENT LFA COMPLET, CALANDRE AVANT F SPORT, PLAQUES DE SEUIL AVANT F SPORT, ROUE F SPORT 18, ESSUIE GLACE ACTIVÉ PAR LA PLUIE, PHARE DE ROUTE AUTOMATIQUE, ET ENCORE PLUS!! AWD, MOONROOF, REAR BACKUP CAMERA W/ FRONT AND BACK SONAR AND REAR CROSS TRAFFIC ALERT, PRE-COLLISION SYSTEM, BLIND SPOT MONITOR, LANE DEPARTURE ALERT W/ STEERING ASSIST, PREMIUM LEATHER INTERIOR, LEXUS PREMIUM AUDIO W/ 10.3 DISPLAY / AM / FM / CD / USB / WMA / BLUETOOTH / SIRI EYES FREE / INTEGRATED SATELLITE XM RADIO W/10 SPEAKERS, F SPORT / ELECTRIC / HEATED AND VENTILATED FRONT SEATS, DRIVERS MEMORY SEAT, LEATHER WRAPPED / 3 SPOKE F SPORT / HEATED STEERING WHEEL W/ PADDLE SHIFTER / AUDIO CONTROL / BLUETOOTH AND DYNAMIC RADAR CRUISE CONTROL, LFA FULL INSTRUMENT CLUSTER, F SPORT FRONT GRILLE, F SPORT SCUFF PLATES, 18'' F SPORT WHEELS, RAIN SENSING WIPERS, AUTOMATIC HIGH BEAM AND MORE!! 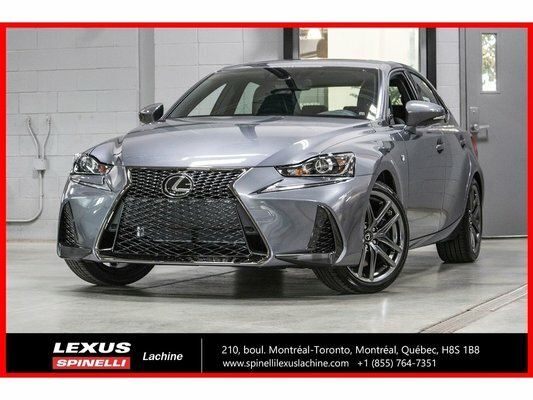 De couleur extérieur Gris et intérieur Noir ce véhicule d’occasion Lexus IS 300 F SPORT II AWD; CUIR TOIT GPS ANGLES MORTS LSS+ 2018 à vendre au prix de 47 376 $ chez Spinelli Lexus Lachine aura tout pour vous plaire.